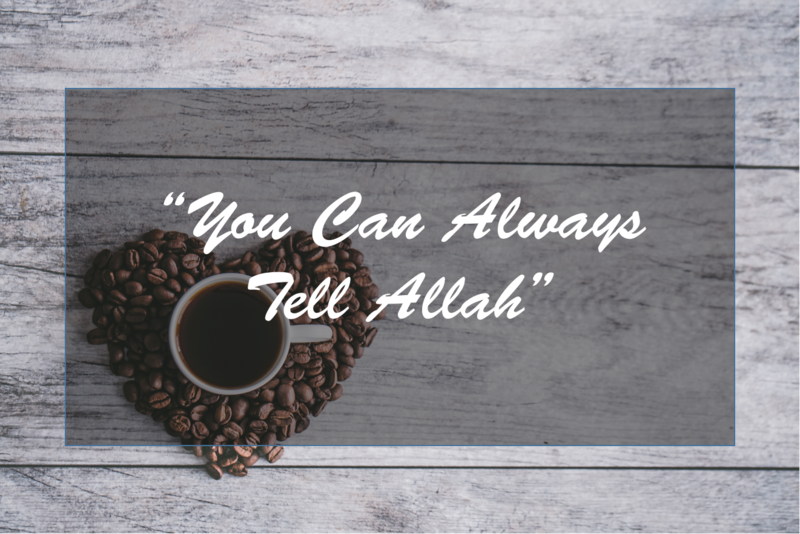 Home LIFESTYLE "You Can Always Tell Allah"
I love the medium where we could ask or tell people about themselves while being anonymous, such as the curiouscat. But rather than asking people, I prefer to just read whatever others asked until one day, I stumbled upon someone's curiouscat where most people confessed or asked him for love advice. Maybe he's like a love expert or some sort, so I decided to ask one. As a single grown adult, dealing with things sometimes that's out of our capabilities to handle, we stressed ourselves and felt like nobody could understand us so we tend to swallow everything on our own and questioned, why don't Allah swt gives us someone who we could tell our struggles to, He knew that we're suffering, alone. Little that we know, maybe He's delaying it because He yearned for us to tell Him first. He listens. He knew everything we wanna tell Him but He still listens so tell Him, instead of suffering alone because we're never alone, Allah swt was always there for us. It also made me reflect on my relationship with Allah swt, the one who created me. I believe this applies to most of us. We usually seek for Him only when we needed something desperately, we asked for His help, but once we got what we desired or whenever we're content with our life, we don't ask for Him, we don't feel the need to thank Him. It's wrong. Allah swt loves who turn to him. It's a habit to ask for Him to get what we want, so make it a habit too, to thank Him when we got what we asked for. Make it a habit too, to randomly thank Him for everything He gave us because, without His blessings, we won't have the life we're living. May us strive to be a better Muslim, to strengthen our relationship with Allah swt, we're all slaves of Him after all. May we become a better muslim, amin ya rabb!! Well, I used to be in a situation where I felt really empty and once I turned myself to Allah, the emptiness was gone.. I had been feeling the emptiness again lately and reading this post made me realized that maybe I had been driven to far from Him... Thank you for the wake up call. Amin. Thank you for the reminder Lya! I admire people who have strong faith. Religion is a sensitive topic and my upbringing have taught me to respect other people's faith. But across any religion, there are common traits and values such as kindness and love. I like this post.